We headed out of town just after five pm, driving north past Albany to the Ankeny Wildlife Refuge. 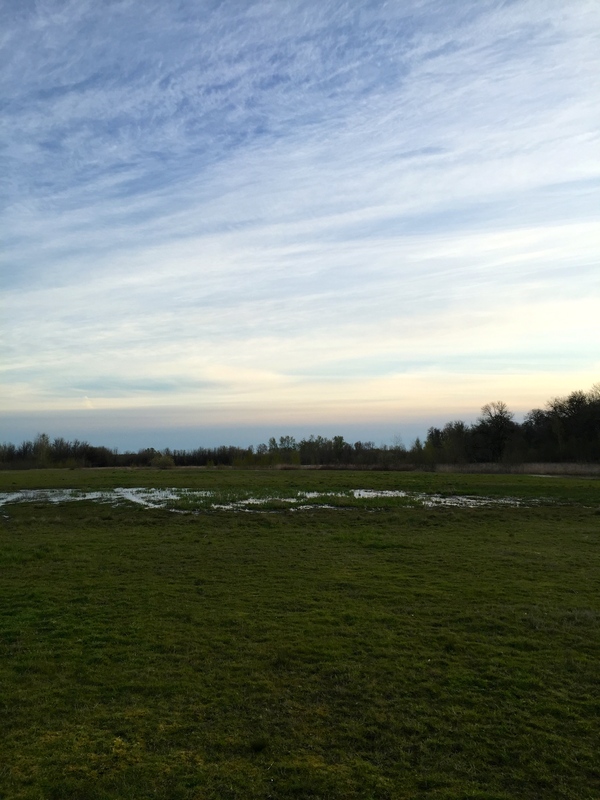 Danielle has a number of pond sites she visits on a rotating basis, Ankeny contains one. We arrived at the pond in daylight and got right to work counting egg masses in the first study area. Since the egg masses are tricky to spot, it’s easier to work during the day. Together we walked in straight lines across the (shallow) pond for half an hour counting all of the egg masses we could see. Since the egg masses are so tiny, Danielle and I both had to hunch over to see into the pond, sometimes using our hands to confirm a sighting. I hope someone buys Danielle a massage after her field season is over. After we finished our survey effort, we shared some snacks and hung out until nighttime when the frogs started chorusing. 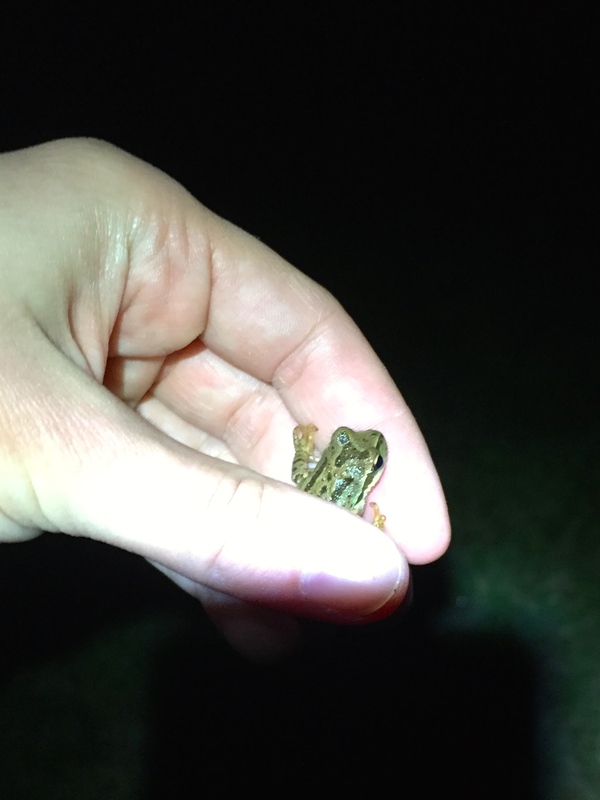 When it was fully dark, we put on our waders and headed to a second pond to try and catch some adult frogs. I wasn’t very good at it (the frogs are so tiny and speedy) but Danelle caught a bunch and I helped her weigh and measure them. Finally it was time to record the chorusing! 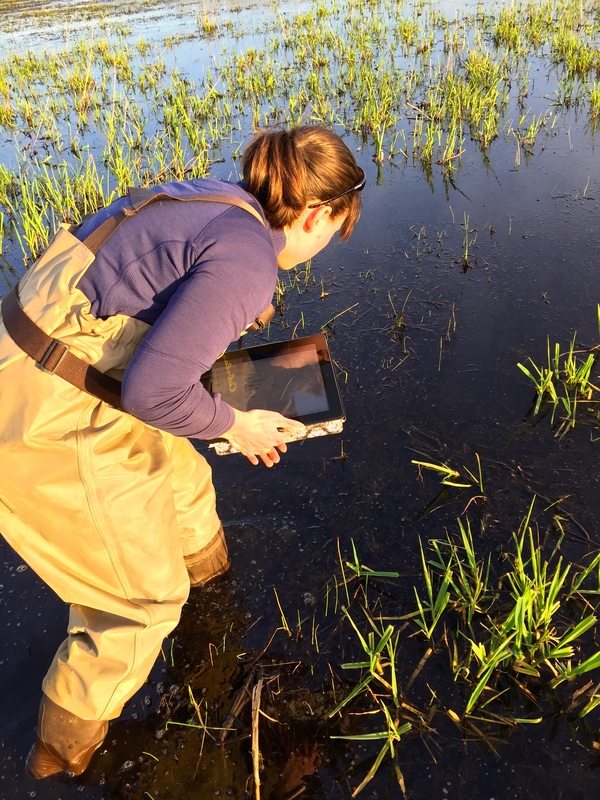 Next time in sharing our research…Danielle goes to sea!